Puma have taken the concept of a golf shoe to wear on and off the course to the next level with the release of the Faas Lite Mesh 2.0. 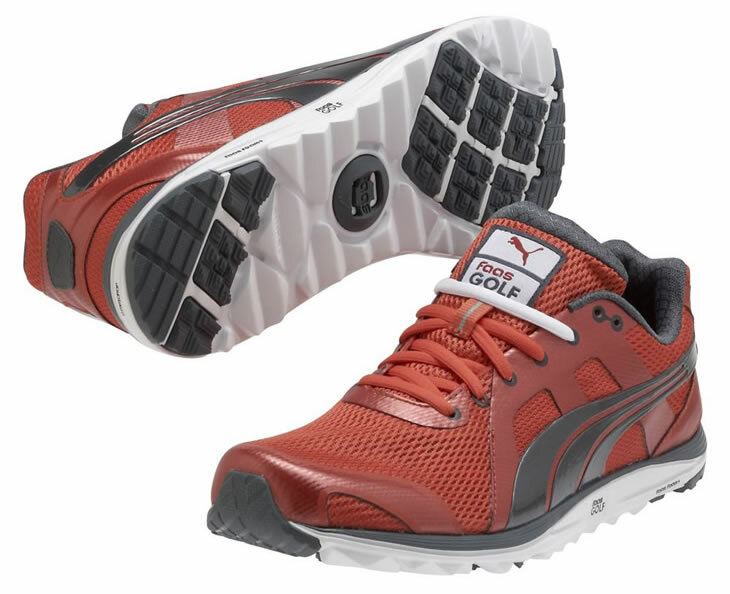 Not content to create a shoe just for 19th hole comfort Puma have moved the goalposts with footwear you'll feel happy to wear on your bike or in the gym. The key to this all round appeal is lightweight performance and the Faas Lite Mesh 2.0 weighs in at only 193 grams (57 grams less than the original Faas Lite) with the main construction a single layer mesh that enhances breathability and reduces weight. But will it deliver on the golf course where it matters most? Puma have not forgotten the importance of stability, support and grip during the swing. The sole features SmartQuill traction technology to give multi directional grip and enhance contact with the ground. Support during the swing comes from a new stitchless support saddle and corrugated flex grooves that act to keep the foot stable and anchored with increased traction. Both of these features are complemented by the Ortholite Sockliner that increases cushioning of the foot during the motion of the swing. Comfort, whether through the round of golf or pounding the streets, is vital to the appeal and performance of the shoe. FaasFoam+, a proprietary foam and rubber blend 25% lighter than previous foams, increases in step comfort with additional heel support, whilst EverFoam in the collar allows the shoe to adapt to the contours of the foot. If you are concerned that using your golf shoes for other active sports may impact on the life of the shoe then don't worry. The sole is made form Carbon rubber which is a high abrasion resistant compound to prevent the grip features from wear and offers long lasting durability. Head of footwear at Puma Golf, Grant Knudson, explains the concept. The Faas Lite 2.0 combines technology with comfort and style, creating a shoe that you will want to wear whether you’re walking 36, grabbing dinner with your friends after a round, or even heading to the gym. The 2.0 version includes new, strategically placed support pieces that provides increased stability and added support during your swing. 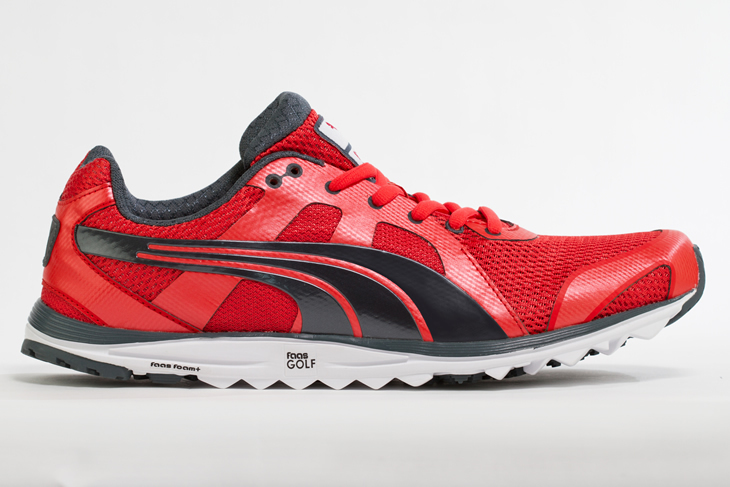 The mesh in the upper and tongue is there to keep your feet cool whatever the activity but the trade off is the impact on the water resistance on the golf course so the Faas Lite is very much shoe for the summer. Of course you won't want to wear a shoe in all these places unless it looks good. Puma have stuck to their now familiar modern styling with three colour schemes and each pair comes with two lace colour options to allow golfers to personalise the look of the shoe.